Need to make a big impression? Our high quality Roller banners are ideal for exhibitions, market stalls or anywhere you need to advertise your product. The Roller banners are printed on one side, with a fold out pole which is inserted in the base and at the top of the Roller banner to keep it upright. 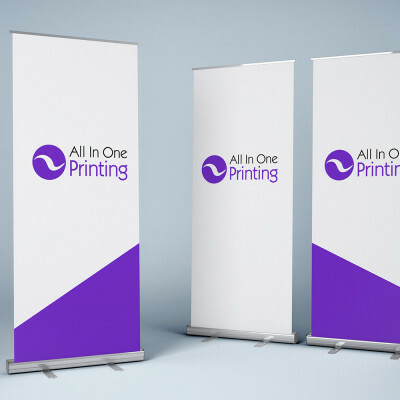 And when the event’s over, simply remove the pole, the Roller banner will retract into the brushed aluminium stand and the entire unit can be popped into a light weight carry case which is supplied. Delivery will be between 4-5 working days from approval of the proof to UK destinations only, although 2 day service is available on request. Please contact 01727 223 308 for more details.